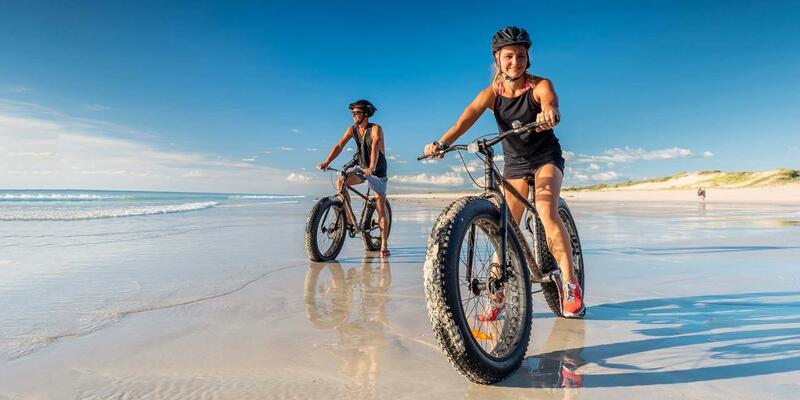 A Fat Bike has oversized tyres which allows access to beach areas you otherwise wouldn't be able to ride - ideal for exploring the one of the biggest tidal beaches in the world - Cable Beach. 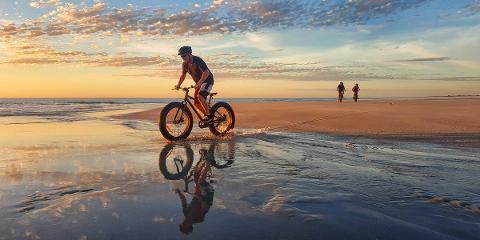 Broome -Australia's Fat Bike capital. Never ridden a Fat Bike? Go on, give it a try! 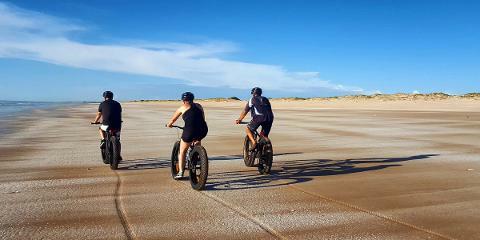 Fat Bike sales in Broome are some of the highest in the country and with Fat Bike events taking place around Broome each year Cable Beach is definitely the spot to give it a go. 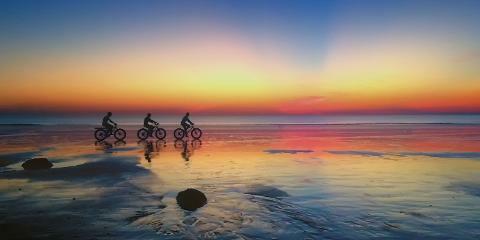 See the world famous Cable Beach Sunset on a Fat Bike. Easy, stable and so much fun to ride. Go further and see more. Cable Beach is ours to explore. Great guides with years of experience in the area. 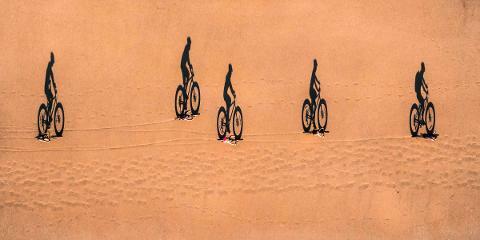 Learn about the tides, the bikes, the town and its people. Keep an eye out for marine life as you are cruising along. Beach snacks and refreshing cool drinks. Suitable riding attire. Shorts, T-shirt, sunglasses etc. Footwear - closed shoes or sandals (thongs as a last resort).